In addition to the highest lightfastness, the Luminance 6901 leads benefit from an extreme softness which enables you to obtain subtle mixings and gradations, as well as blendings. Every shade has been formulated using finely-ground pigments chosen for their purity, intensity and resistance to UV. 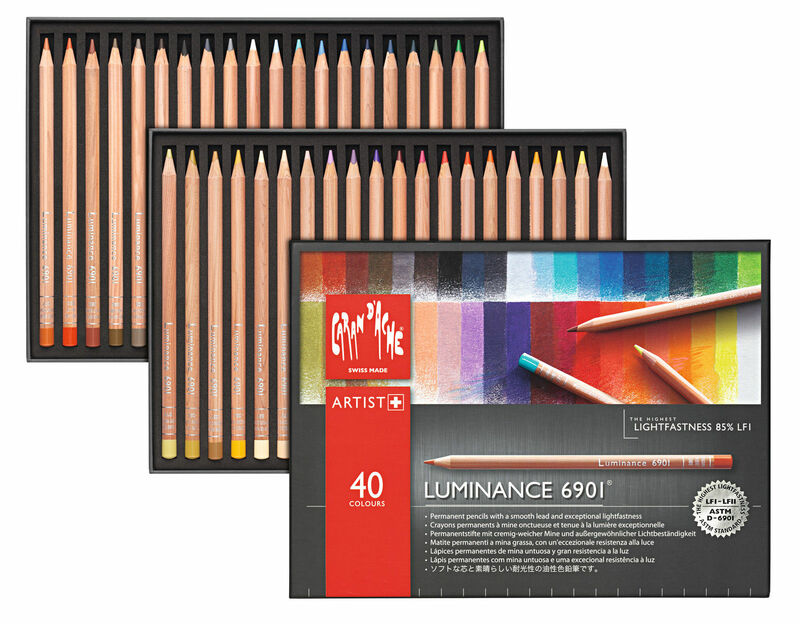 The chromatic range Luminance 6901 is perfectly balanced and comes in cardboard box sets of 20, 40 or 76 colour pencils. The box of 76 colours comes with 2 free blender pencils. Artists, designers, architects, stylists, art Directors, interior designers and so on - all creative professionals will appreciate the technical features, aesthetics and ergonomics of Luminance 6901. The full range of 76 pencils are now available to purchase in individual colours.